Women’s football is an emerging and unstoppable phenomenon. The interest it arouses in the public is the obvious evidence of this. A couple of weeks ago, the Metropolitan Wanda gathered 60,739 spectators, an absolute record in a women’s football match. In Italy, the encounter between Juventus and Fiorentina was seen live, 30,027 people. San Mamés attended 48,121 fans in the Basque derby between the girls of Athletic and Real Sociedad. These figures have provoked reactions in England asking for more prominence for women. Phil Neville, coach of the England women’s national team, wants English teams to follow the example of Spain and Italy, where he has seen great assists in the women’s games hosted by the Metropolitan Wanda and Juventus Stadium. The former Manchester United player asks Premier League clubs to also organize women’s football matches in their stadiums. It’s true that women’s football in the UK has been in a great position, with the players having their own women’s league and many other competitions. 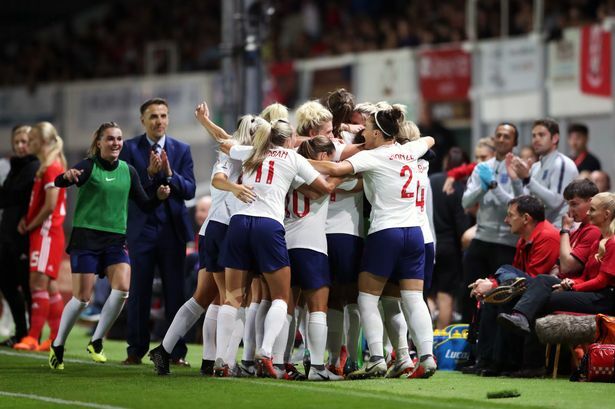 Still, if the English clubs allowed their women’s teams to use the main stadium of the men’s teams, as Neville said, it would be for sure that more audiences would come to see the games, and they would see what the women’s game really has to offer. We’ll need to wait and see if the FA and the many clubs of England pay attention to his words or if they’ll leave the situation as it is now. Next Is Women’s Football In Spain Going To End?